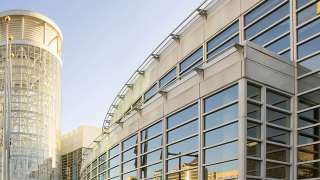 Salt Lake City has a reputation for friendly and helpful residents and that makes the Salt Palace Convention Center stand apart from other facilities when it comes to customer service. We have a staff of friendly and knowledgeable hosts who will help you find your way in the facility, give you information about Salt Lake City, provide options for dining and entertainment and make you feel welcome. During large events, we have two portable, staffed information booths stationed in key locations to make your visit easy. Plus, all other Salt Palace personnel are eager to assist you should you have questions. Just ask us!